My youngest turns 25 today It made me think back on how fast life is and how critical it is for us to stay on course in our Christian journey. Life brings lots of problems and more blessings. We need to always seek God’s guidance in everything we do. Why, you ask? Because it’s easy for us to veer away from our true course. My baby has decided to fly off a plane today. This is one of those life goals she wants to achieve and I applaud her for it. 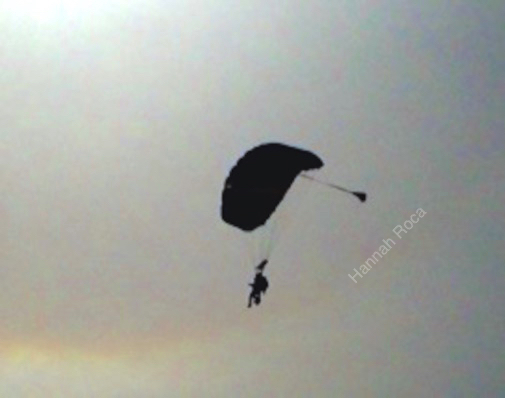 I know that God will take care of her even when she is free-falling thousands of feet down. She will have an expert parachuting with her and this will make things easier for her experience. God is the same way, He is there as an Expert in life for us to grab on to Him. It will make our journey(that seems to be going at the same speed as parachuting from thousands of feet in the air) much smoother. We need God to guide is and hold on to us in that same way. He will never do anything on purpose to hurt is. He is there for one purpose, to have us listen to His calm instruction when we are free-falling in life.